In the 2013 SURVEY of all households in Wivenhoe we asked a number of questions on a variety of topics (the blue links below). The eight categories corresponded with eight working groups whose work on this part of the Plan has now finished. This page will remain available to residents wishing to look at the survey data. INTRODUCTION: What is Wivenhoe like as a place to live? including: Housing generally, Green Areas within Development, Types of Building, Locations, Ownership/Renting Options. including: Roads, Parking, Bus, Train, Cycling on highways. including: Retail outlets, Business premises and sites, Needs of self-employed, Homeworkers, Employment opportunities. including: Utilities in general, e.g. Communications, Power Supply, Water, Waste Disposal, Alternative Energy. 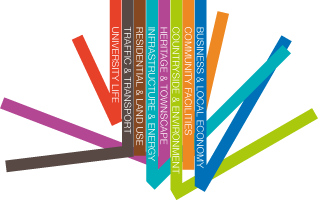 including: Employment, Community Engagement and Facilities, Expansion Plans. including: Biodiversity, Different uses of outdoor green spaces and water for leisure, Maintenance and Preservation of green areas. including: History, Development, Character, Conservation and Preservation needs. Clicking on any of the numbered topics above will take you to an excerpt of the Survey Digest corresponding with the topic’s subject.